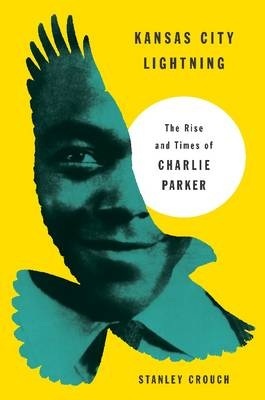 Sixty years since his death, Charlie Parker’s importance and eminence in the jazz world is not really matched by an outpouring of biographies. In some way the brilliance of his playing almost repels audiences. He did not in life, and does not in music, ingratiate himself. He is not seeking approval in the way that Gillespie or Armstrong so obviously did. A consideration of Parker's work would not appeal to the mainstream reader, a publishing house would not expect large sales. Indeed, now, as far as the mainstream is concerned Parker is, sadly, an obscure almost forgotten figure, However, some of the writers who have explored Parker's life and work have produced some remarkable accounts, as Jack Kenny investigates. Reisner in his book calls into question the way that biographies are written. The usual method is for a writer to take a subject, do some research and then, after due consideration, develop a view of the subject. Very, very subjective. Recently, Terry Teachout in his book decided that Duke Ellington was almost a fraud and philanderer. He looked at the evidence and included those views and events that suited his central thesis. Reisner does not do that. He knew Parker but he finds a different way to express the complexities of the remarkable player. Reisner knew that his subject was not one dimensional so he found a way of showing the multi facetedness of Parker. Eventually what Reisner does is to present multiple, sometimes conflicting, interviews and leaves it up to his readers to draw their own conclusions. One of the intriguing aspects of the book is that all the witnesses' accounts are in alphabetical order. The absence of the usual chronology is good and so you have collisions of times, views and opinions. And so the book goes on presenting views that are contrasting, critical and confounding. A kaleidoscope. Stanley Crouch is one of the most opinionated writers on jazz. His attempt to demolish the persona and music of Miles Davis’ last decade are legendary. Crouch has no negative views on the purity of the jazz emanating from Charlie Parker. Parker is one of his heroes. Crouch, born in Los Angeles in 1945, is an African American. Most writers on jazz are not black so it is important to have his perspective.The book is the first of two volumes. This one starts in 1942 in the Savoy Ballroom, Harlem as Parker makes his New York debut and finishes in 1940 (sic) The book covers the period before Parker had changed jazz. The narrative then doubles back to Kansas City as Crouch covers in some detail the milieu of that city and Parker’s early life with the indulgent mother, the errant father and the early marriages. For thirty years Crouch has been working on this book. He has been researching and interviewing and has captured accounts from many people who are now dead. He unearthed sources that others have missed. He managed to talk to Rebecca Ruffin, Parker's first wife, they married when she was 18 and he was 15, and she gives a description of the miscarriage of a baby who would have been his second child. He also talked to school friends and musicians who heard him as he started to work in the clubs of Kansas City and the nearby states. The early experiences with drugs are detailed: the use of marijuana, benzedrine and morphine. Crouch also talks to guitarist Efferge Ware and the trumpeter Orville "Piggy" Minor about Parker's early music. 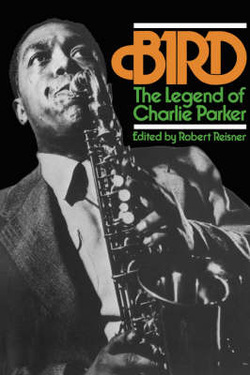 Minor says "Charlie Parker was a guy who didn't like anything according to Hoyle" – ie to the rules – "and if he could bend it, he would bend it quick." Some have criticised Crouch’s writing style particularly the convoluted sentence structure and excessive metaphors. Crouch is always keen to follow thoughts to where they will lead and that interrupts the narrative. Kansas City under the rule of Mayor Tom Pendergast is explored in detail as is the evolution of the saxophone and the role of the railways in facilitating movement around the states. Crouch is promising that the next volume will appear in a couple of years. The complete 2 volumes will be essential reading. Carl Woideck is an academic and he subjects some of Parker’s music to a forensic analysis which both enlightens and illuminates. 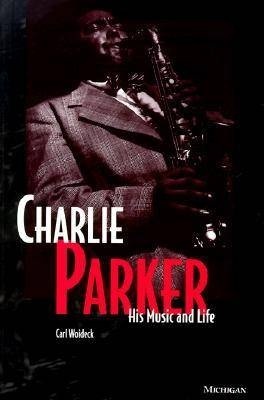 Starting with a 47-page biographical sketch from Parker’s birth, childhood and his early musical development, he goes on to note the ways that Parker evolved from an apprentice to the most influential musician of his time. You do not have to be a musicologist to appreciate the points that Woideck makes. What he manages to do is to ensure that if you follow some of his arguments you will have a greater appreciation of the music. He looks in detail at most of Parker’s key recordings. The six page analysis of ‘Just Friends’ complete with transcriptions of sections is a good example. The transcribed musical examples are keyed to compact disc timings. If you listen to the music while following descriptions you will have acquired an enhanced appreciation of Parker's music. With these notes, as well as scores of others, Woideck meticulously analyzes the various ways in which Bird grew from a talented young disciple to the pre-eminent musician of that time. Woideck does not just assert his views he backs them up with examples. Many books about musicians are hero-worship lite. Woideck can see faults. He believes that Parker evolved little during the 1950s. That was the time he was signed to the Norman Granz label. Not everyone would agree with that assessment. The three books cover many aspects of the remarkable musician's life. They are very different and all three are worth reading. Reisner and Crouch will help you to understand the man. Woideck will help you to understand the music.